Annual planning for next year is upon us. As you make decisions for the coming year, you’ll want to have a crystal clear understanding about where your employees stand. What do they think is working? What needs improvement? In order to understand your employees’ perspective, you have to collect feedback. Whether you solicit feedback in one-on-one conversations or via a company-wide survey, they're several questions that can help you unpack what’s most important to your team. Today, we’re sharing 9 questions you should be asking your employees as you head into annual planning season. These questions are qualitative and open-ended, as answers are most likely to result in new discoveries. 1. What processes can be fixed or improved? This question gets at what you ultimately want to know: what can you do to make things better for both your business and the employees you serve? When you listen to the feedback, look for common trends and their root challenges. On top of specific processes themselves that need improvement, there may be a few underlying things – such as chain of communication, clarity around product quality and/or service standards, or alignment of employee expectations – that can provide further insight into what’s working and what’s not. Sometimes the best ideas come from unlikely sources. If you’re soliciting feedback from your employees, find out what they think the company should be doing to improve its offerings. Encourage employees to separate their ideas from their current role. What could the company do to improve as a whole? 3. If you ran the company, what’s one thing that you would do differently? This is another way to deliver an open-ended question that encourages employees to share what’s on their mind and how they would go about making changes. Employees’ answers can be telling – you’re likely to find out if they’re satisfied with the company culture thanks to this question. Furthermore, framing a question in this way encourages employees to be more solutions-oriented and can naturally lead to a conversation on ownership for implementing their suggestions. 4. In what ways can communication between leadership, managers or staff be improved? Are you transparent with your employees? You may think you are, but many employees may feel as though management is completely opaque. When management makes a decision, even if it’s an unpopular one, employees deserve an explanation. Are your employees receiving adequate feedback? Afterall, feedback works best when it goes both ways. That’s why you need to understand if your employees are receiving feedback from their managers. This is especially important since many employees do not receive adequate feedback from their managers, and about two-thirds of managers are uncomfortable giving feedback to employees. 6. How safe do you feel bringing up business or employee related issues with your manager? This question gets at the heart of what it means to have a feedback-driven culture. If employees don’t feel safe and secure sharing their issues, then it’s unlikely they’re feeling good about their work as well. If many of your employees don’t feel comfortable giving feedback to their manager, this is an area that will require further investigation to discover root causes and to remedy the situation. 7. What is the business doing, or can be doing to make you more successful? As a leader, it’s your job to remove roadblocks for employees. But how can you help them if you don’t know what these roadblocks are? Try asking employees what’s holding them back from success so that you can make plans to remove what’s getting in the way. 8. Provide one idea how the company can affirm your contributions and make you feel more valued at work. Are we doing a good job or is this an area that needs improvement? Many employees don’t feel they are valued by their organization. If this is the case, you’re likely to see low employee engagement and a high turnover rate. it’s essential that you know and understand this so you can ameliorate the situation. 9. What’s one thing we could do to make you enjoy working here more? If you’re looking for ideas from your employees, this is a good question to ask. After all, they may have ideas on improvements that are easy to implement. But you’ll never know what you can do to make things better unless you ask. This post is part of a special blog series on 'Building a Healthy Feedback Culture' in support of ProService’s Growth Series event taking place on September 19, 2018 . Offered exclusively to ProService clients and special guests, the Growth Series are interactive learning experiences that feature industry-leading speakers and networking opportunities that will inspire and provide tools for business leaders to take their organizations to the next level. To register, please visit our event page and register with code GS2018. Michelle Steitz serves as ProService's Service Team Executive, where she works collaboratively to develop, lead and execute the vision and strategies of ProService. Her talent for hiring, training, and developing customer service talent allows ProService to deliver the absolute best, most consistent, accurate, responsive and caring service experience to Hawaii's employers. 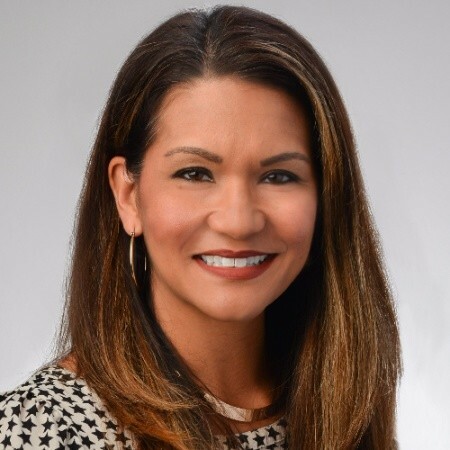 Prior to joining ProService, Michelle worked as a Merchandise Manager at Walmart, and before that quickly made her way through the ranks of JCPenny, starting off as a Commission Sales Associate and graduating to VP, Corporate Talent Acquisition. Michelle is a graduate of the University of Arizona. Do's & Don'ts: Are You Asking the Right Interview Questions? ©2019 ProService Hawaii. All Rights Reserved.